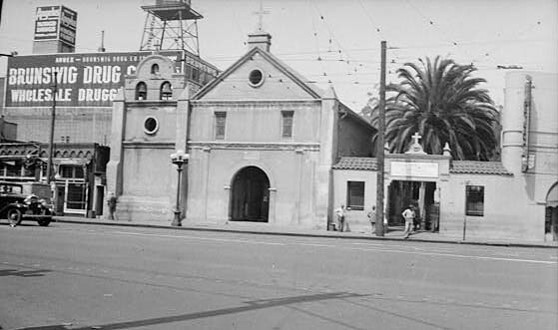 Our Lady Queen of Angels Church (La Placita) located in the heart of the El Pueblo de Los Angeles was staffed by the Claretians from 1910-2015. 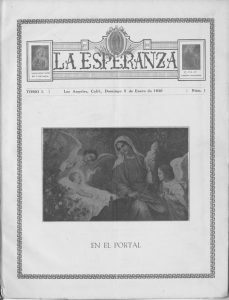 The church was the center of Mexican Catholic life, sponsoring many parish organizations, encouraging an active Catholic Action ministry, and publishing a national weekly magazine, La Esperanza (1930-1955). 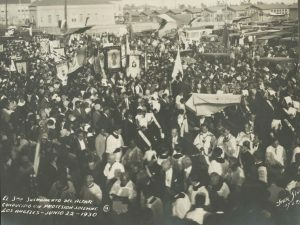 George Sanchez’s book, Becoming Mexican American: Ethnicity, Culture and Identity in Chicano Los Angeles, 1900-1945 is one of the most frequently used texts for college students. By highlighting the church’s neighborhood, Sanchez develops a secular interpretation of Mexican adjustment to the United States. Utilizing sociological studies undertaken in at the University of Southern California and archdiocesan reports, he missed the vibrant religious history of the Mexican community. Unfortunately at the time of his research, the Claretians did not have a professionally managed archive. Today a different story would be told as a wealth of organizational, textual and photographic records reveal a different reality. 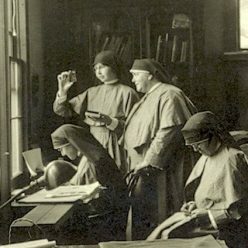 Catholic sources mirror more than religious history as the Claretians played an active role in assisting the local community.